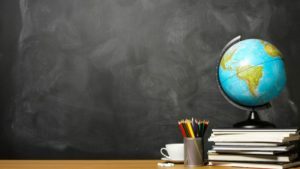 A new RTÉ Brainstorm article, co-authored by Whitaker Institute member Dr Frances Fahy, looks the importance of Geography and why it should remain as a core subject in the Junior Cycle. Geo comes from the Greek word for Earth and the “graphy” part comes from the Greek word which means to write about something. Thus geo and graphy literally means “to write about the Earth.” Geography teaches vital skills that help us describe and read the world and is representations, from ancient maps and charts to contemporary models and satellite images. Irish statesman and scholar Edmund Burke noted, “geography is an earthly subject, but a heavenly science”. Geography helps us understand how past societies and environments developed, which provides the context for the present and helps us to plan for our future. Geography helps us answer the question of “how do we wish to live?” in an informed way. As Michael Palin said, “geography is the subject which holds the key to our future”.